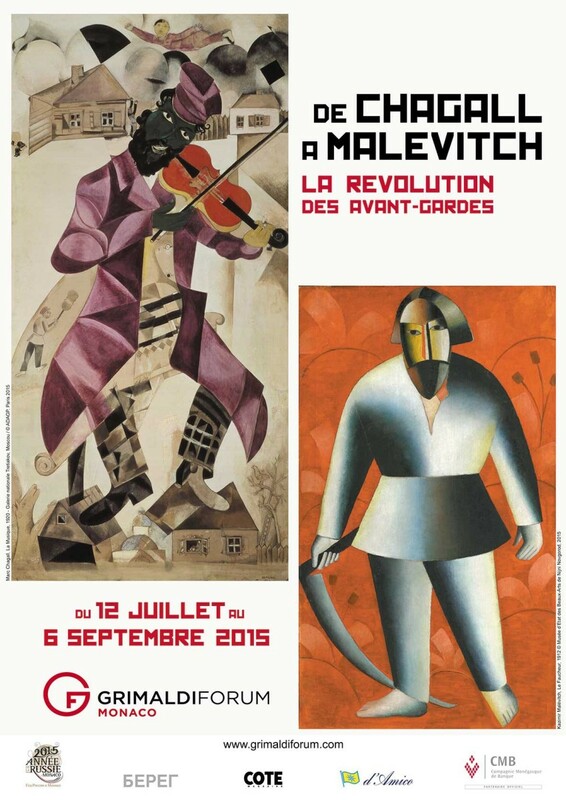 When I visited Monaco this summer I was looking forward very much to seeing the 'Revolution of the Avant- Garde' exhibition at the Grimaldi Forum. 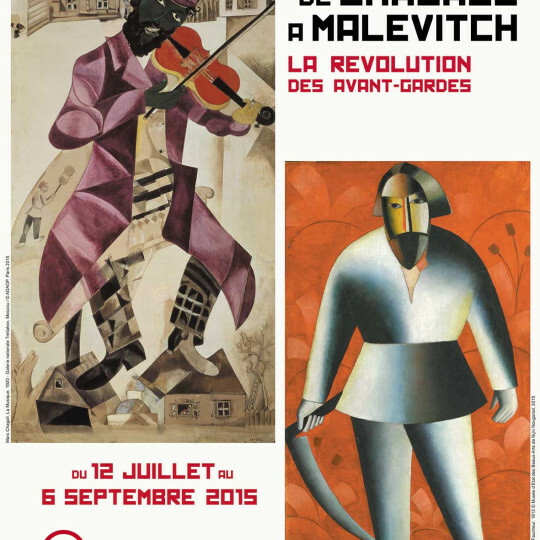 The exhibition, which ran until 6th September, was a celebration of Russian artists who contributed to radical art movements in the early 20th century - Cubism, Futurism and Constructivism. The exhibition was curated by Jean Louis Prat and consisted of 150 pieces, dating from 1905-1930. Highlights for me were Kasimir Malevitch's geometric paintings (Black Square, 1923) as well as Natalia Goncharova's fragmental figures (Picking Apples, 1911) and Alexander Rodchenko's bright, abstract paintings (Abstraction, 1920). It was an inspiring exhibition, and a rare chance to see many works which had never left Russia's museum collections before.